Prophets of Rage in Montreal or Quebec City? Inform me about the next events for Prophets of Rage. Enroll yourself to our priority waiting list for Prophets of Rage to be alerted when new tickets are available. Filling this form doesn't engage you to any purchase. Prophets of Rage are coming to Montreal ! On August 23rd, 2016, the brand new supergroup will be performing at the Bell Centre. Prophets of Rage was recently born from the ashes of famous political-rap-rock group Rage Against the Machine. 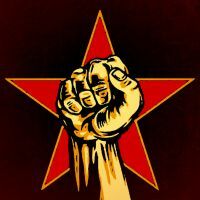 Three of RATM's members are in Prophets of Rage : guitarist Tom Morello, bassist Tim Commerford and drummer Brad Wilk, in addition to Public Enemy's Chuck D and Cypress Hill's B Real. Don't miss their first ever concert in Montreal this summer !